Since 2010, Buddhist Global Relief has been a partner of the US-based What If? 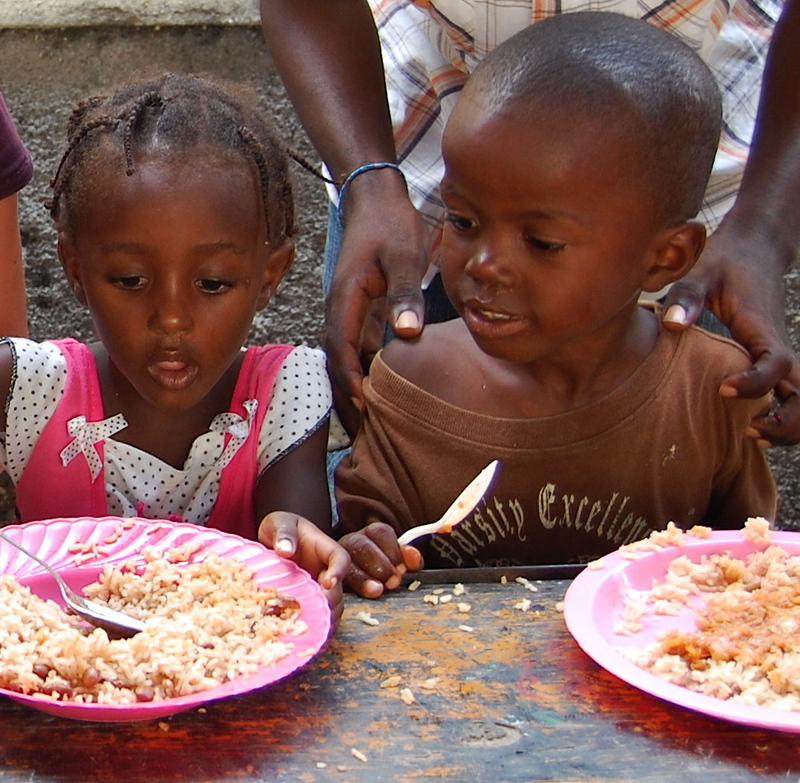 Foundation, which over the past fifteen years has been providing free meals for hungry children in the Ti Plas Kazo neighborhood of the capital, Port-au-Prince. During the first three years of our partnership, the focus of our projects was on the free meals program, which had become especially critical after the earthquake that struck the capital on January 12, 2010. Over the past two years our partnership has expanded to include an education component, as WIF initiated a scholarship program to enable children to attend school. 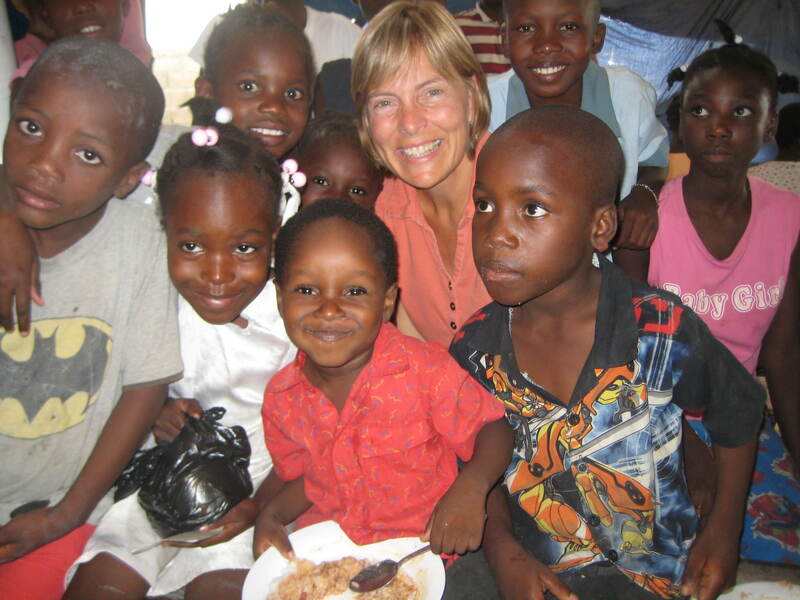 In Haiti school tuition is extremely expensive in relation to the country’s overall economy, and thus the assistance that BGR provides has been a great asset to children who would otherwise be unable to attend school. Below is a letter of thanks from Lavarice Gaudin, Program Manager of Na Rive, What If? Foundation’s on-the-ground partner in Haiti. His letter is introduced by WIF founder Margaret Trost and executive director Suzanne Alberga. On this day, which marks the 5th anniversary of the devastating earthquake that struck Port-au-Prince, we hold the people of Haiti especially close to our hearts. Below is a letter written to What If donors by Lavarice Gaudin, the program director for Na Rive, our Haitian partner. In it he shares reflections on the earthquake, our partnership, and the life-giving work that has been possible thanks to your support. 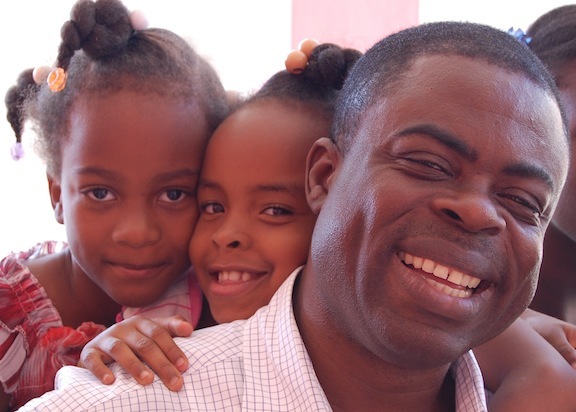 We are deeply grateful for our partnership with Na Rive, which offers a trustworthy and effective way to provide hope and opportunity to children in Port-au-Prince. And we are grateful for your encouragement, your prayers, and your ongoing donations that are so crucial for this work to continue. 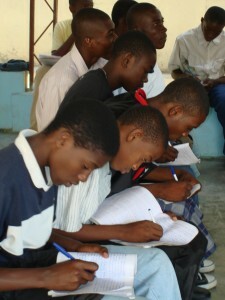 I write to you from Haiti and thank you for your support and love. Five years have passed since the earthquake that shook our country and broke our hearts. We remember it like it was yesterday. On January 12th, the members of Na Rive will hold a prayer vigil to remember and honor the 300,000 people who lost their lives on that day. And we will remember in our prayers all of you who helped us. The Haitian people remain strong and resourceful. We have deep faith and continue to hold onto hope for the future. If you came to Port-au-Prince, you would see the rubble has been cleared and some new government buildings and hotels have been built, and also some new roads. But most people who lost their homes are still without a safe place to live. More and more people are hungry every day because they cannot afford to buy rice. The cost of living keeps going up. School tuition keeps going up. There is growing frustration throughout the country because people thought things would improve by now. But you have made such a difference in the Ti Plas Kazo neighborhood. You have been with us and alongside us — before, during and after the earthquake. When What If? Foundation partnered with us almost fifteen years ago, we were able to start serving hot, nutritious meals to the children; and then you made it possible for hundreds of parents to send their children to school. Because of the great food and education programs you support year after year, the children and their parents have been able to make it through all these difficult times. We see this every day in their eyes, and in their strength, courage and determination to have a better future. We do this work with all of our hearts. We believe love is the most powerful force. There are so many who need help and we cannot help them all, but whoever is cooking the food, they do it with love. Whoever is working with the students, they do it with love. And so, as we enter the New Year, we will continue, with your help, to feed the children, and teach them and guide them. We want to help them become leaders in this community. We hope you will support the What If? Foundation again this year and continue to pray for us. The children of Ti Plas Kazo join me and the rest of the Na Rive staff and volunteers in thanking you for standing with us all these years. This entry was posted in Education, Food security, Projects & programs, Uncategorized and tagged Children's education, Children's hunger, Food hardship, Haiti, What If Foundation. Bookmark the permalink.